A celebration of life service for Barbara J. Henre, who died Sat., Dec. 8, 2018, will be held at the United Methodist Church in Baldwin City at 11 a.m. Friday, Dec. 28, 2018. Barbara J. (Wright) Henre was born Jan. 31, 1925, to Harlan and Marguerite (Kennedy) Wright of Holton. She was a graduate of Holton High School and Baker University, being a lifelong member of Delta Delta Delta. On Oct. 7, 1950, she was united in marriage to V. Duane Henre. To this union three children were born. Barbara was a devoted wife and mother who enjoyed sewing, painting, cooking, home decorating, traveling, doll collecting and entertaining. Her motto was service above self. 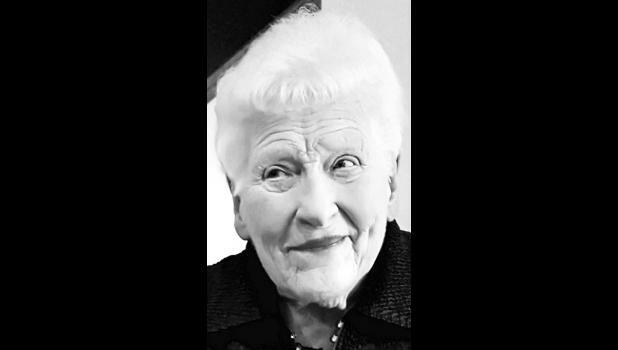 She was active in her church and community throughout her life and was involved in numerous organizations among them PEO, Kensington Club, UMW, and Leisure Hour. Barbara’s husband, Duane, died suddenly in 1985. Barbara thoroughly enjoyed quality time with family and friends and blessed others with her many talents. Survivors include her children, Vauri Henre of Norfolk, Neb., Camille and her husband, Thomas Barkley, of Bellville, Texas, and Robert and his wife, Abby, of David City, Neb. ; and three grandchildren, Stephen Barkley, Michelle Barkley and Cara Henre. She was preceded in death by her parents, her husband and her brother, Robert. In lieu of flowers, memorials may be directed to the United Methodist Church in Baldwin City or Baker University in Baldwin City.